Alldocube X is equipped with a MediaTek MT8176 system-on-chip. It is rarely used and powers tablets mainly. 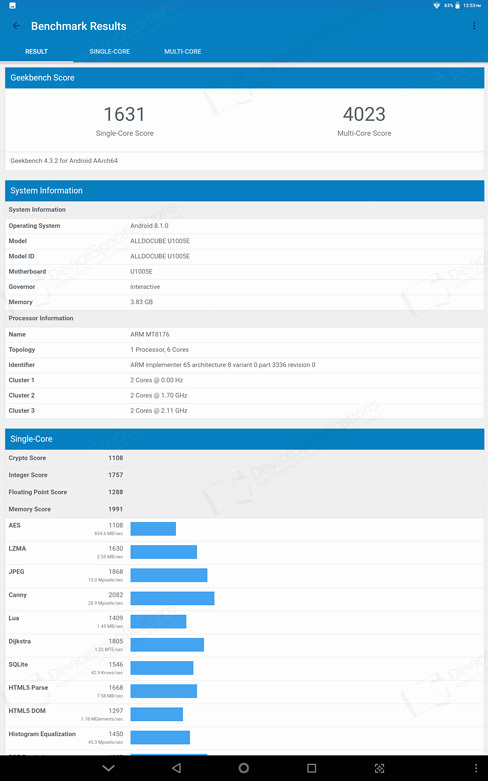 Some other models that house this chipset are the Asus ZenPad 3S 10 Z500M, Xiaomi Mi Pad 3, Teclast Master T10, Teclast T8 and Teclast M89. This chipset is manufactured after TSMC's 28nm process and houses a hexa-core CPU, which consists of two 2.1GHz Cortex-A73 cores and four 1.7GHz Cortex-A53 cores. A 650 MHz dual-core PowerVR GX6250 GPU handles the graphics. The chipset is paired with a 933MHz dual-channel LPDDR3 RAM with 4GB of capacity. The built-in storage measures 64GB and is of the eMMC 5.1 type. It can be further expanded via the microSD card slot. 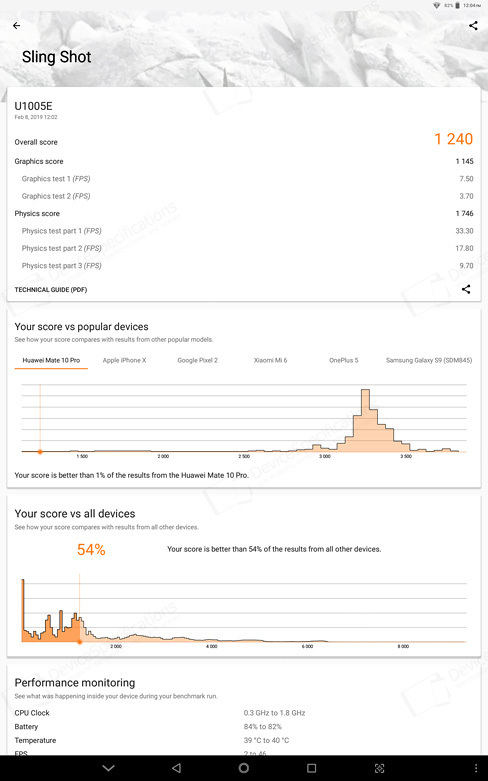 All in all, the performance of MediaTek MT8176 is close to that of Helio X27, which powers another Alldocube tablet - the M8 (you can check its review here). 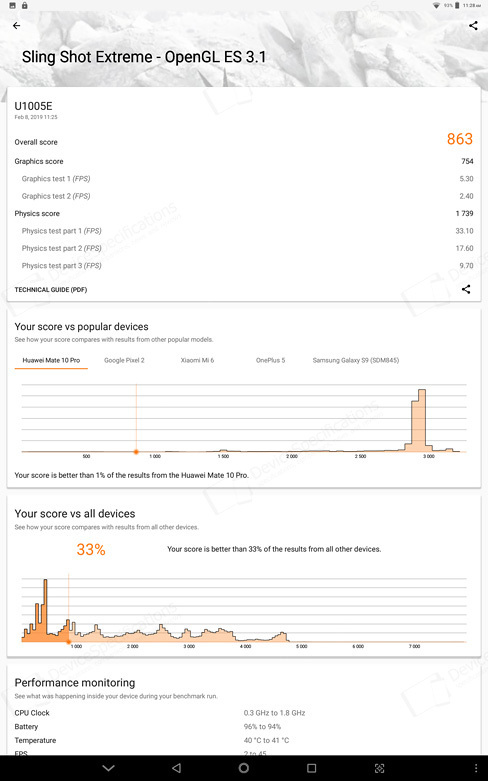 The AnTuTu 7 score of our review unit is 105853 points which is a typical result for this SoC. 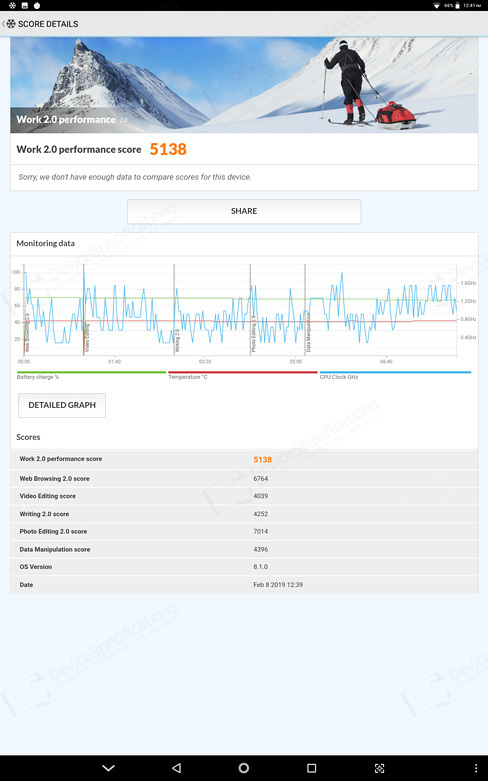 The Geekbench 4 single-core points also point at equality with the Snapdragon 660 in terms of performance on this particular test, while the multi-core test puts it amongst devices powered by a Helio P23 and Snapdragon 625 chipsets. 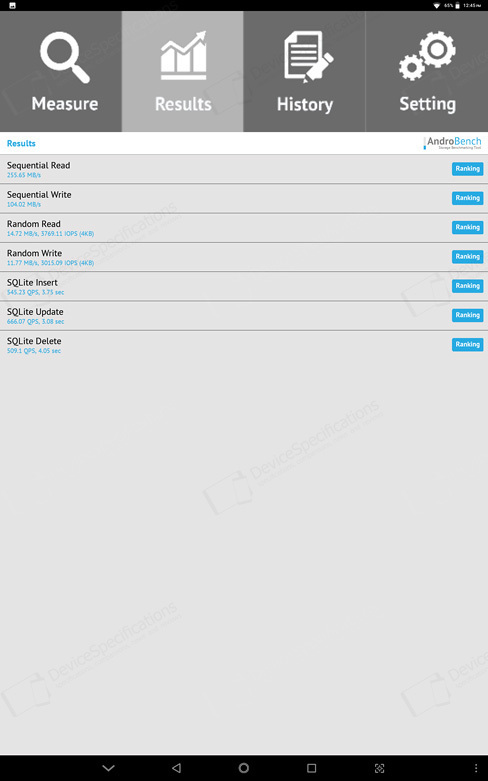 As long as it concerns internal memory performance, the Androbench test shows speeds that are typical for an eMMC 5.1 type of storage. 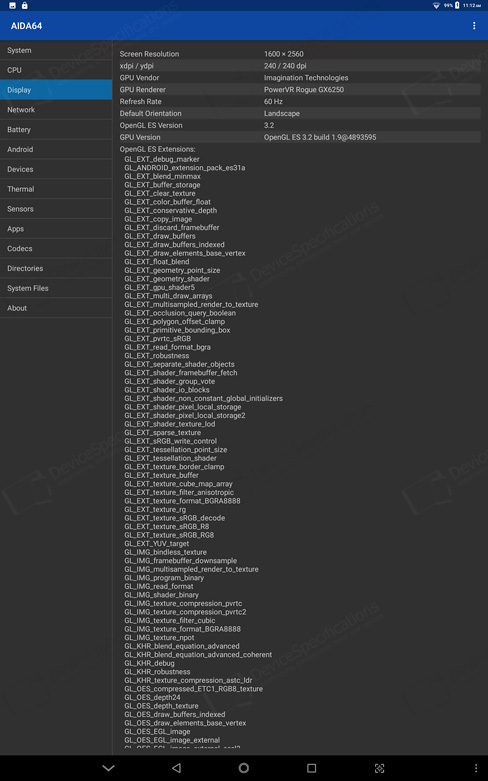 Of the 64GB onboard the device, 56GB are available to the user.